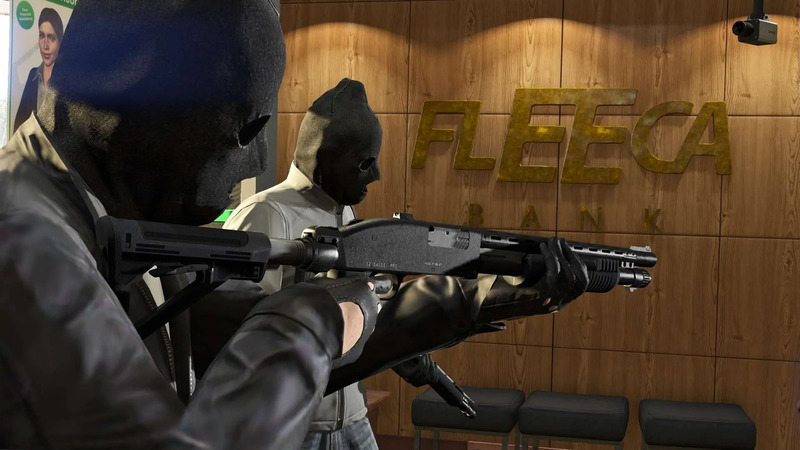 The developers of the Grand Theft Auto franchise have always been keen on inserting cheats into the games for the players to use. There’s absolutely no shame in using the cheats and you can use them to beat levels and missions that are normally too difficult to complete. There is only one small drawback to using the cheats and it’s that the console you are playing on will block out certain achievements and gold medals during missions when cheats are activated. Who needs achievements anyways when you are having some sweet guilty pleasure fun of using video game cheats. For a complete list of cheats across various video games, check out IWantCheats. Here are the top five GTA V cheats to use while playing. Arguably the most useful cheat code on this list is the invincibility one. When you activate this cheat code, your character gets unlimited health and becomes invincible for five minutes. This cheat comes in handy when you are stuck on a particularly hard mission involving fire exchange or fights. Invincibility mode can also be used if you are messing around in the game for fun and want to jump tall heights or get run over by cars. If you are trying to explore and uncover all areas of the map, it is recommended you pop this cheat on to avoid one-hit kills from the wildlife creatures in the forest and deep sea areas. At one point or another, everyone has wished the character in the game could run faster, even if it’s just a tad bit faster. Luckily, the makers of GTA V granted the players this useful cheat to allow you to run way faster. If you want to get where you need to be in time, activate this cheat and your character will run almost as fast as a cruising car. Catch up with enemies and beat marathon races with this useful cheat. This cheat is probably the second most useful one on this list. Sadly, there are missions in the game that raise your wanted level after completing the main part, and you are forced to restart from the begin and lose your progress if you fail to evade the police. If you are having trouble with missions like these, or just accidentally committed a crime and you can’t shake off the police, activate this cheat to lower your wanted level by one star. Activate the cheat multiple times in order to return your wanted level down to zero. GTA V features an expansive map, bigger than any other map in the series franchise. There’s not only Los Santos, but also Sandy Shores, San Andreas Wilderness, Paleto Bay, and the Grand Senora Desert. From top to bottom, this map is so huge, it can take up to 15 to 20 minutes to cross the whole thing in a car. Use the ‘BuzzOff’ cheat to spawn a Buzzard Helicopter and use it to cross wide space of the map in a short amount of time. If you are struggling with timed missions requiring you to show up at a specific point or location, skip the car and use a helicopter instead. The world of GTA V brought home some amazing graphics, environments, and NPCs. A lot of people uploaded videos online of their adventures and stunts. This cheat activates a level of slow motion camera, up to level three, allows you to perform stunts, tricks, and jumps more accurately. If you want to make a scenic video moment, use this cheat to create a nice Hollywood-style slow motion shot. It is also very handy for aiming in shooting missions.